We bring a new adventure of Super Mario World Flash, in which you will have to guide our favorite Nintendo plumber through the levels that make up this new online title. The best thing about Mario Bros is that it never goes out of style and they are always making versions of mini-games set in all their world, and this is one of them. 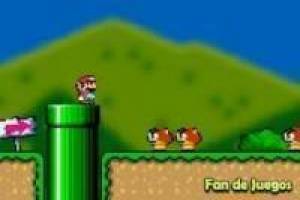 Unlike other Mario Bros mini-games, in this one you have worked hard and you have created nineteen levels that you must complete to overcome the game. 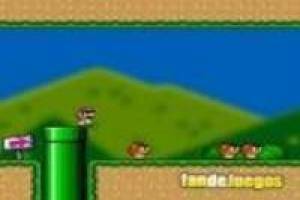 In them, you will see the typical enemies of Super Mario games like Koopas and Goombas, among others. As in any Mario game, you must collect the coins and jumping on your enemies, in addition to collecting special items such as flowers or mushrooms that make you grow. You will have to complete the course of these levels of platforms, killing enemies and passing all obstacles that get in your way. The time has come to put an end to the tyranny of Bowser once and for all and get her to leave Princess Peach alone. Do not let the Bowser minions stop you in this great adventure and come to him to defeat him once again. 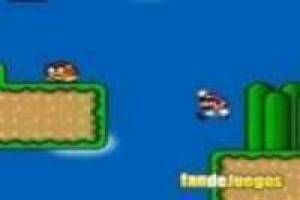 Enjoy the game Mario world flash, it's free, it's one of our Mario bros games we've selected.